How much power is too much? If you can’t readily come up with an answer, indeed, if you’re the type of person who wonders why someone even ask that question in the first place, you’re in luck. The automotive industry is in the midst of a horsepower race of virtually unprecedented proportion. Not since the muscle car era have we seen so many vehicles capable of leaving long patches of rubber when the light turns green. And unlike that golden age of the American V-8, automakers are packing power into just every type of product you can imagine, from sports cars to sport-utility vehicles. With high-performance AMG versions of virtually every vehicle in its line-up, Mercedes-Benz has ridden the crest of this wave. And its DaimlerChrysler sibling isn’t far behind. 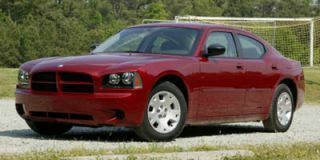 The Chrysler Group has put a premium on performance with such entries as the Viper and the Neon SRT-4. But the star of the show is the 5.7-liter Hemi V-8, a powertrain so well-recognized on the American market that Chrysler marketing director Joe Eberhardt refers to it as the automaker’s “fourth brand,” as recognizable as Dodge, Jeep, and even Chrysler itself. While the bold and sophisticated styling of Chrysler’s 300C is clearly a factor in the sedan’s success, it’s telling to note that the Hemi was the powerplant of choice for 47 percent of 300C buyers last month. Making 340 horsepower, and 390 pound-feet of torque, the 5.7-liter Hemi is a force to be reckoned with. It places the 300C among the top ten products on the market, whether you’re measuring horsepower to weight, or horsepower per dollar. Yet there are always those who insist there’s room for more. And Chrysler apparently agrees. The carmaker hoped to eke out a modest increase when it decided to bore out the Hemi to 6.1 liters. The results took even the most optimistic powertrain engineers by surprise, confides Dan Knott, director of SRT, the automaker’s high-performance operations. To get there, the new engine’s block was strengthened, its bore increased 3.5 millimeters per cylinder. A new intake manifold and exhaust headers with individual tubes encased in a stainless steel shell helped improve breathing. Sodium-filled exhaust valves help improve heat dissipation. Compression was boosted from 9.6:1 to 10.3:1. The camshaft was tweaked, while peak engine speed was boosted 15 percent, to 6200 rpm. And the regular, 2.5-inch diameter exhaust system was increased to 2.75 inches. The upgraded engine, which is being previewed in Pebble Beach this weekend, pumps the numbers up to 425 hp — 25 more than the new, sixth-generation Corvette, incidentally — and 420 lb-ft. “When we first went down the 6.1-liter path,” admits Knott, “our targets were a lot lower.” Not that he’s complaining. The 6.1-liter version of the Hemi will help Chrysler dramatically differentiate the new 300C SRT-8 from the 5.7-liter version of the car. While the numbers have yet to be validated independently, Knott reports that in corporate testing, the SRT-8 launches from 0-60 in the “low five” second range, and is posting quarter-mile times in the “high-13” second range. *And the interior of the car has been given a more race-inspired look, including sport seats with grippy suede inserts. Chrysler can afford to be generous. Where carmakers must, these days, bake the cost of incentives into the base price of their products, the 300C is so popular, it hasn’t required the massive financial come-ons of the old Chrysler Concorde. That means plenty of car for consumers, but also big profits for the automaker. Backed by the 300C, Chrysler Group just had one of its most successful quarters since it merged with Daimler-Benz in 1998. The 300C SRT-8 won’t add a lot to the bottom line, however, with sales likely to run in “the mid-thousands,” according to Knott. Translation? Perhaps 5000 or so a year. As for the bigger HEMI, expect to see that show up in a variety of SRT products in the near future. With DaimlerChrysler’s U.S. arm so intent on pushing the performance envelope, might it have some more surprises in store? “I don’t know where the end is” for the horsepower race, says Knott. There are already about two dozen vehicles making north of 500 hp, he points out, and “I predict (the benchmark) will go to 600” before things levels off. As for the Hemi, is there room for still another increase? While Knott won’t discuss future product plans, he concedes it may very well be possible. Luxury with Attitude...and I'm still not over it! Back in the early 1990's I made the comment to my new wife, "I'll never own an American car and I'll never own an automatic." A little over a decade later, at a time when my co-workers were buying BMW's and... Back in the early 1990's I made the comment to my new wife, "I'll never own an American car and I'll never own an automatic." A little over a decade later, at a time when my co-workers were buying BMW's and Mercedes...I learned to never say never, because I was in love with an dressy American muscle car. It was so not like me, but I was smitten. So I leased a 2006 300C -and that turned our to be a mistake. It's well known that the 300C's interior was not on par with it's exterior. But I didn't care. 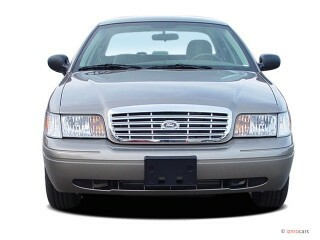 It had what I wanted: leather, SAT radio, auto climate control, etc. What captivated me was that exterior and the HEMI V8 under the hood. It sounds expensive, has an amazing ride...and it got to 60mph in 5.7 seconds. Many of my friends spent nearly twice as much as I did for their German engineered rides, but outside of the high end interiors, my 300C would hold it's own on the road and especially in a straight line. It was fuel efficient (for a 340 hp/ 390 lbs.ft of torque engine) largely due to the Multidisplacement System (MDS) which would shut down 4 cylinders when not needed. I would have liked to have a light on the dash that would let me know when this was happening...I may have driven a little differently. 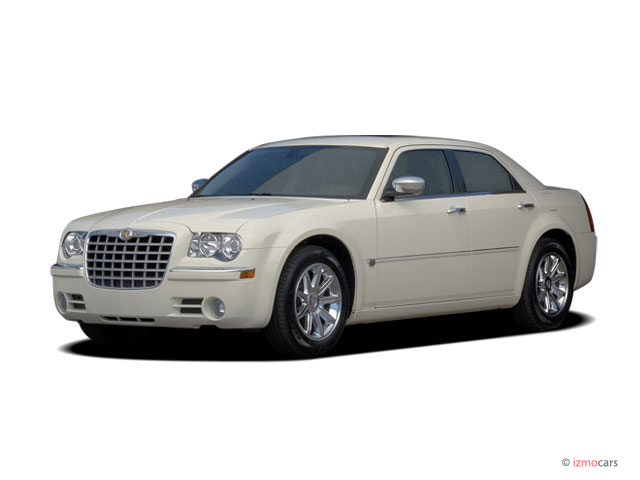 For those not aware, Chrysler had a few secrets hidden in the 300C. Many components were derived from and shared with the Mercedes-Benz E-Class of 2003 to 2009. Shared components included the rear suspension design, front seat frames, wiring harnesses, steering column, the 5-speed automatic transmission's design, and a derivative of the 4Matic all-wheel drive system. (Mine wasn't AWD.) 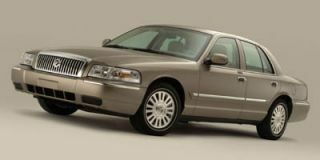 The Chrysler 300 also features a double wishbone front suspension that is derived from the 1999-2005 Mercedes-Benz S-Class. No wonder it stacked up so well to my friends cars. I never had any problems in my 3 years of ownership and my only wish is that I could buy another one with many of the features from the current 300C. 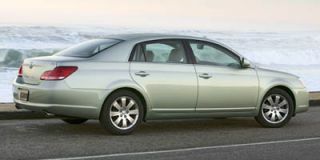 But, I will be buying another 2005-2007 300C in the near future and not going for the newer models. 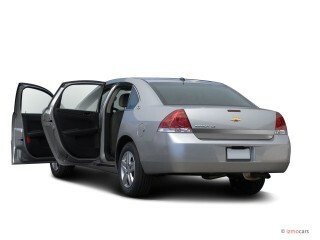 The 2008-2010 model lost part of it's design superiority when Chrysler tried to design a wing into the trunk. And the 2011 300 simply doesn't have the same appeal. It's lost it's attitude (from a design perspective). If you're a "car guy" (person) and you end up with a 300C, it may be very difficult to be content with other cars afterwards. The things I enjoyed most about the 300 besides what I've stated above is the big hood out in front of you and the short/chopped greenhouse around you. I can't talk enough about how great it was to drive that machine. Interior and exterior should have been seperate. Interior is below par and exterior id fantastic.